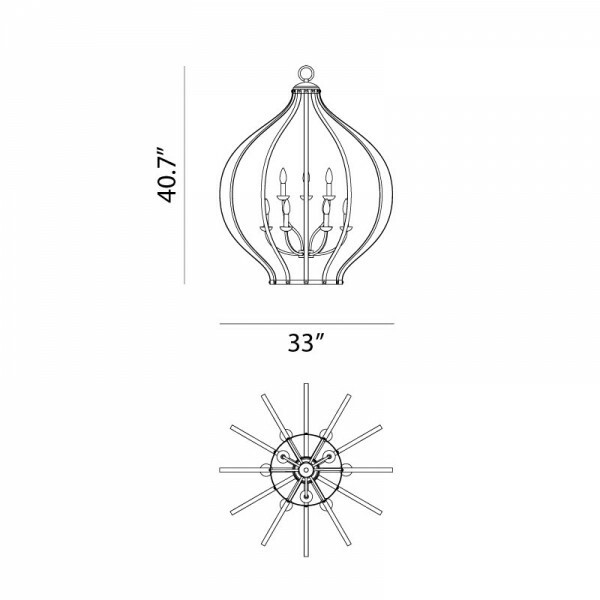 Package Dimension: 40" x 23" x 18"
Sleek, classic; two elements fused into one. 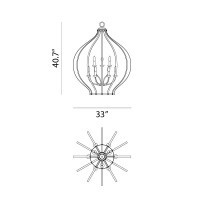 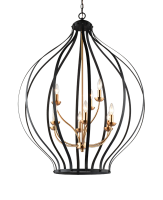 Elegant candle chandelier centre, encaged by a classic medieval design framework. 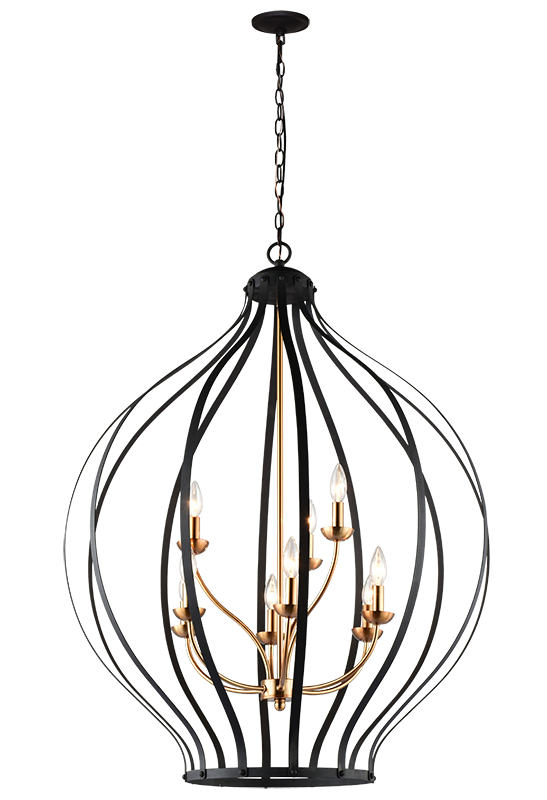 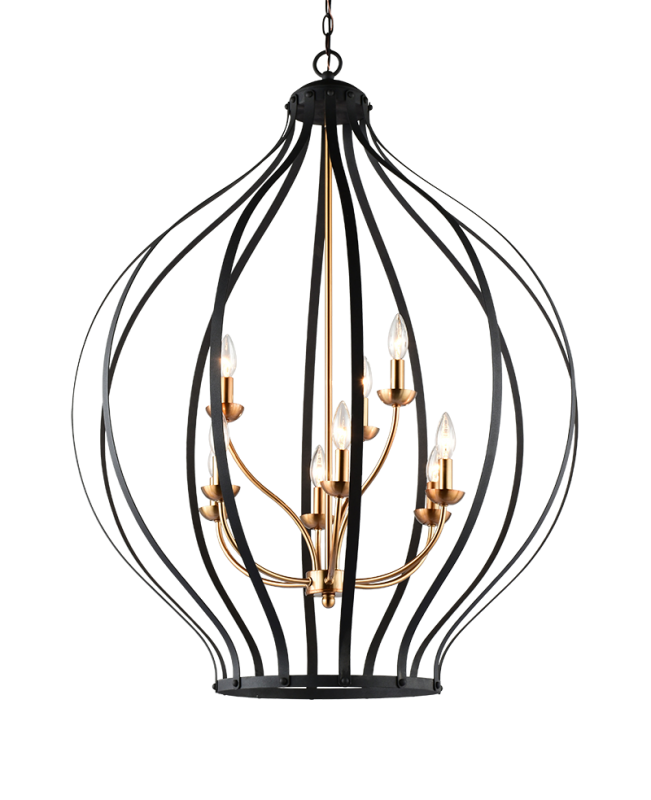 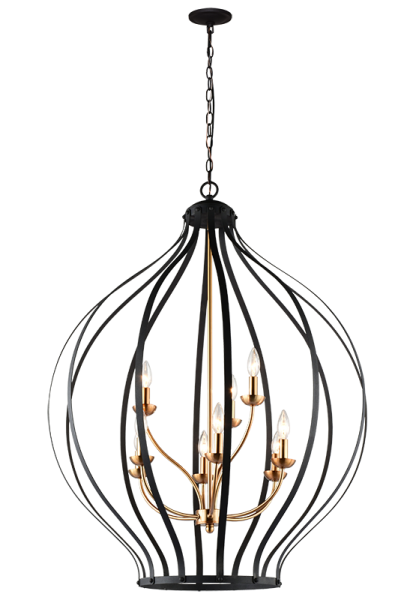 Matte Black frame with an Aged Gold Brass interior chandelier.